I wish all animals could spend the holidays together with their family and in their own home. I can only cross my paws for Miss Alana and I hope she will find her furever furmily. 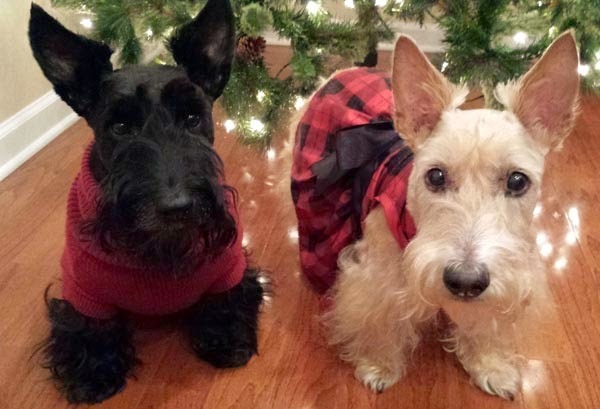 Yep, christmas with a Scottie is a blast, cause everything under that tree is ours......... well at least the paper after all the unwrapping....its pawty time, then theres the foo............ Ohh Doggie , we get a very special dinner. But bestest of all it enjoying with the peeps! 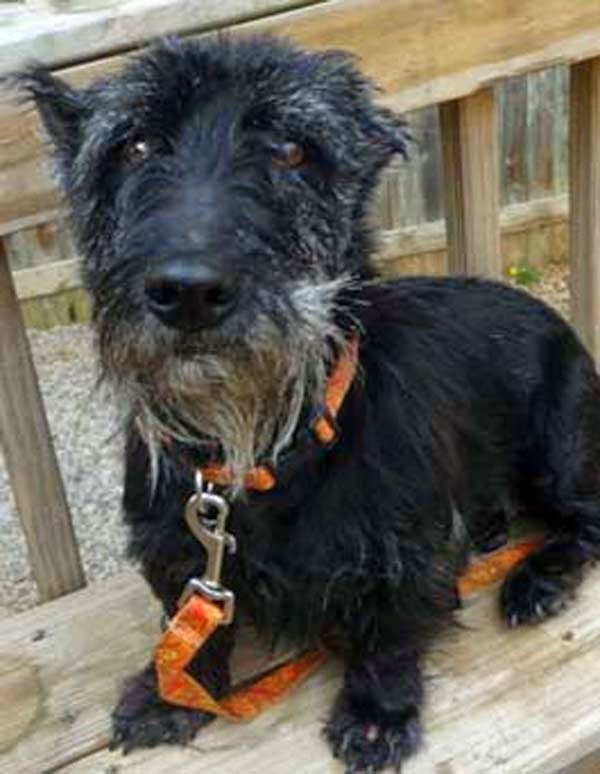 Betcha Alana finds a home fast cause she looks like a sweetie and needs some loving! You guys look soooo cute! what a beautiful post! Just tweeted it! I hope Alana finds a new home for the holidays!!! 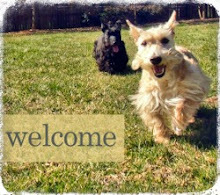 Every pup should have a wonderful home! 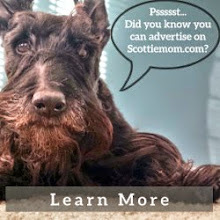 You got Heather from The Tennessee Scottie Rescue. We send donations to them. We always follow Just John's Blog who fosters for them. We had contacted them about a little female that really seem to reach our heart but Ms McAfee really did not seem to like me. I think she felt I put to much tension on my dogs. Yet my vet is like I am the best and my dogs have lived long loved I would do anything for lives. They have been reader and visiting hospital work dogs and they have gone many places.